ARE YOU LOOKING FOR WAYS TO RECOGNISE, REWARD AND INVEST IN YOUR HIGH POTENTIAL STAFF? 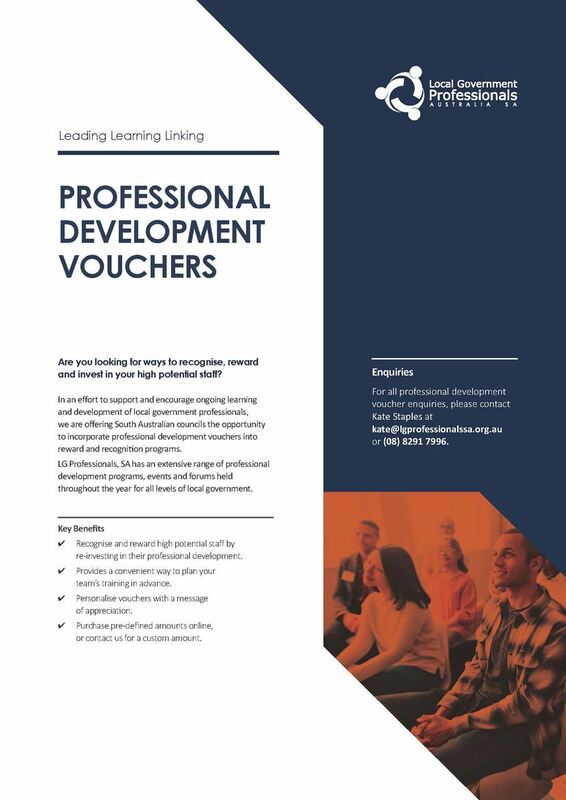 In an effort to support and encourage ongoing learning and development of Local Government professionals, we are offering South Australian councils the opportunity to incorporate professional development vouchers into reward and recognition programs. 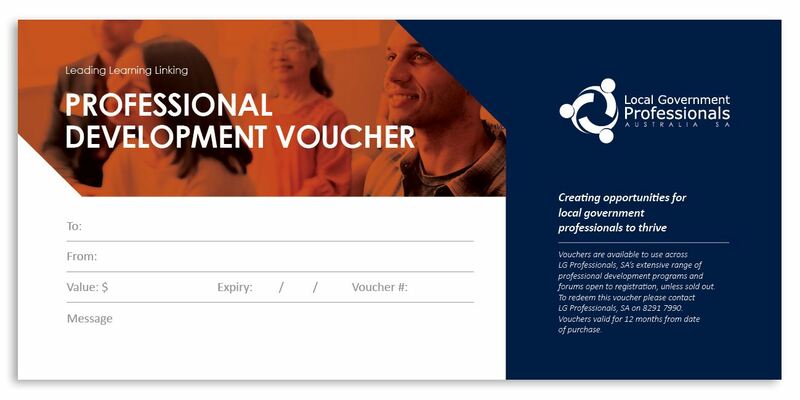 LG Professionals, SA has an extensive range of professional development programs, events and forums held throughout the year for all levels of local government. Purchase pre-defined amounts online below, or contact us for a custom amount. Note: to purchase a custom amount, please contact us direct.